The First Aid at Work Refresher (FAWR) courses are needed every 3 years to enable First Aiders to continue to hold a First Aid at Work full certificate. The syllabus covers all the details of the full first aid course in brief as well as catching up on any technique / protocol changes that may have occurred and includes the safe use of AED’s (Automated External Defibrillators). Fist Aid at Work qualifications are designed to help organisations meet the minimum requirements for First Aiders in accordance with Health & Safety First Aid at Work Regulations (1981). Delegates on our First Aid at Work Refresher course will gain updated knowledge and skills to effectively perform a wide variety of First Aid procedures in the Workplace and deal with incidents until the arrival of the Emergency Services. From October 2013 Ashtree offer the Ofqual accrediting system for First Aid at Work Refresher courses, this replaces the HSE accreditation with the new Level 3 (RQF) Award in First Aid at Work. The syllabus will remain the same but the assessment will be on a continual basis and will include an end of course multi choice examination. Call us if you need any clarification as to which course you need. 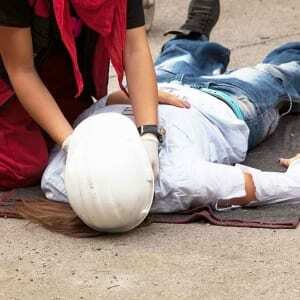 To train and refresh staff skills in dealing safely with illness or injury which may happen at work. This 2 day course may be delivered at your premises for groups up to 12 delegates. 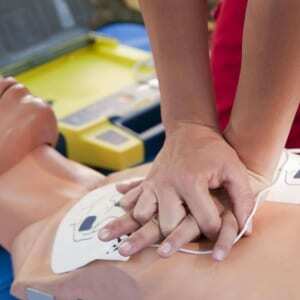 Administer cardio-pulmonary resuscitation (CPR) including the safe use of AED’s. Administer first aid safely, promptly and effectively to a casualty who is bleeding. Qualified First Aiders who wish to continue practicing as First Aiders in their Workplace. Accredited re-qualification certificates will be issued by the Awarding Organisation (AO) on the basis of tutor assessment of the candidate’s practical skills throughout the course and successful completion of the written test. For staff who hold a current First Aid at Work (FAW) Certificate. A copy of the delegates current FAW certificate must be shown to the trainer on the first day of training. The delegate cannot start the training until the certificate has been verified. This course will require the provision of a suitably sized room to allow all candidates adequate space to practice CPR on an adult and junior resuscitation mannequin.